Moving to a new city is like starting a new adventure, but getting the relocation right takes a strong game plan. Whether you’re relocating for school, work, love, or just new experiences, these five moving tips will help you make the most of your fresh start in a new land. Researching your new city ahead of time can reveal valuable details such as where are the best schools, or which apartments are pet-friendly. Of all your search criteria, though, it’s the neighborhood that should be your primary concern: the last thing you’d want is to move to a new home, baggage, boxes and all, only to realize shortly afterward that things aren’t working out for you there. If you have the option to visit the city before moving there, this can help you get a better feel for what your research means in real terms. But if visiting isn’t an option, there are still plenty of online resources that can help you investigate the area. You should also research online different movers in Gainesville, FL: checking rates and reading a few reviews can help you select the best crew to take your possessions from point A to point B. Money matters; this is especially true when you’re moving to a new city, which is an expensive endeavor between housing and transportation alone. To keep the moving costs down, take inventory of your belongings and choose which to take with or leave behind. Once everything’s accounted for, call up your preferred moving company for a cost estimate to factor into your budget. Other costs to think about include setting up utility services — a day without Internet is a hard day — and buying new home furnishings. This is where paying special attention to residential neighborhoods in your pre-move research pays off. 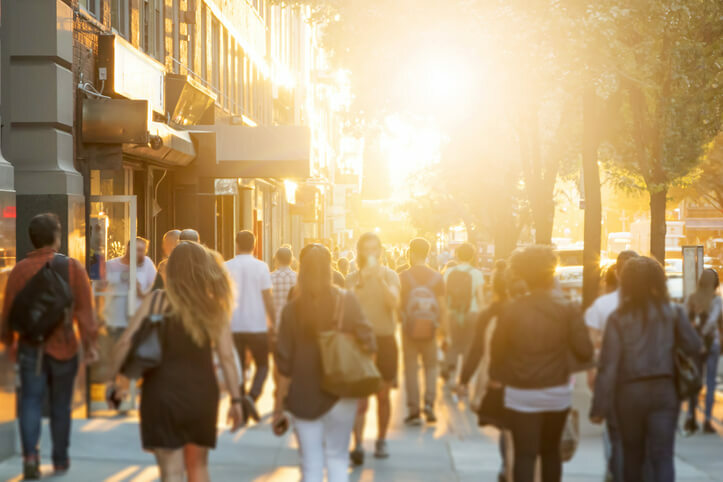 It’s easier to acclimate around like-minded people, and living at a convenient location makes shopping and commuting easier and provides you with more exposure to the desirable areas of the city. Mortgage or rent costs, local crime rates, and proximity to schools, hospitals, parks, and shops are just a few factors to consider about an area. And if you’re looking for inside tips, residential movers are a great resource. Since movers pack up homes all across the city, they are familiar with the cultures and people in different neighborhoods. A mobile office can serve as your command center during a move. Whether you have a job lined up in the new city and are starting work early, or you’re setting up interviews and writing cover letters to find employment, having a workspace available, even as the rest of your house is being packed up, can help boost your focus and productivity. And we’re not talking about anyplace fancy; a folding table, chair, and laptop comprise the key elements of a mobile office. Furthermore, keeping these work-related items separate from everything else that’s getting packed up ensures these things are readily available throughout the move. Everyone has stuff — old clothes, assorted knick-nacks, and general items that serve no purpose beyond occupying floor space. Well, moving to a new city is the perfect opportunity to get rid of some of your excess stuff. One way to unload unwanted items is by selling them online or donating them to a charity. If you do sell some things, the profits can then offset your moving costs. The time to start downsizing is one to three months before moving day. It’s also around this time that you should call and schedule your movers. Remember, the earlier you arrange for moving services, the more time you’ll have to plan and carry out these five tips as a way to make your relocation a success. Whether you’re moving to a nearby town or across the country, UF Mover Guys will see that you get to your new city on time with all your belongings. Based in Gainesville, FL, we’ve built a reputation for dependable moving services with professionals, students, and families. Contact us to schedule your move today! Next Next post: Moving For Love? Read This First!